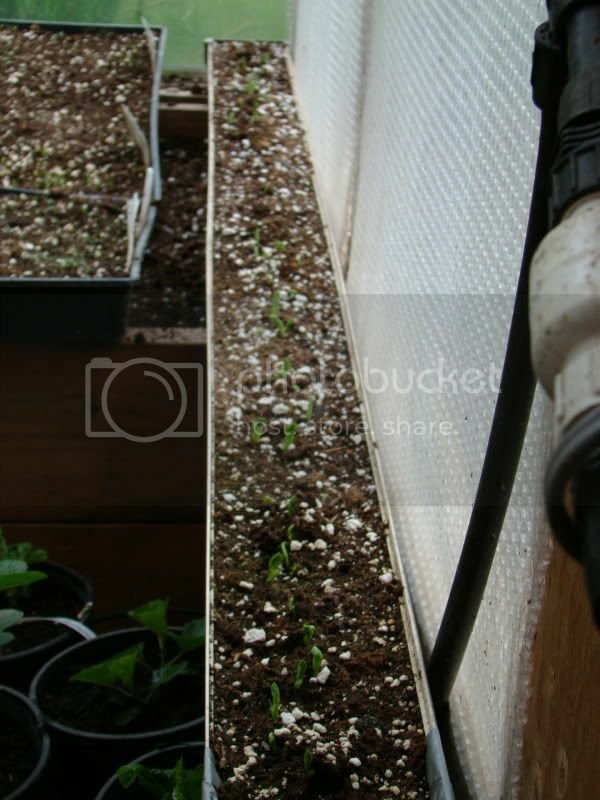 Planted peas in this gutter about a week ago. When they reach about 2" tall or so, I'll take them out and plant. Should be able to remove the end cap and slide the whole mass right into a prepared trench. I'm also trying this with Scarlet Runner beans. 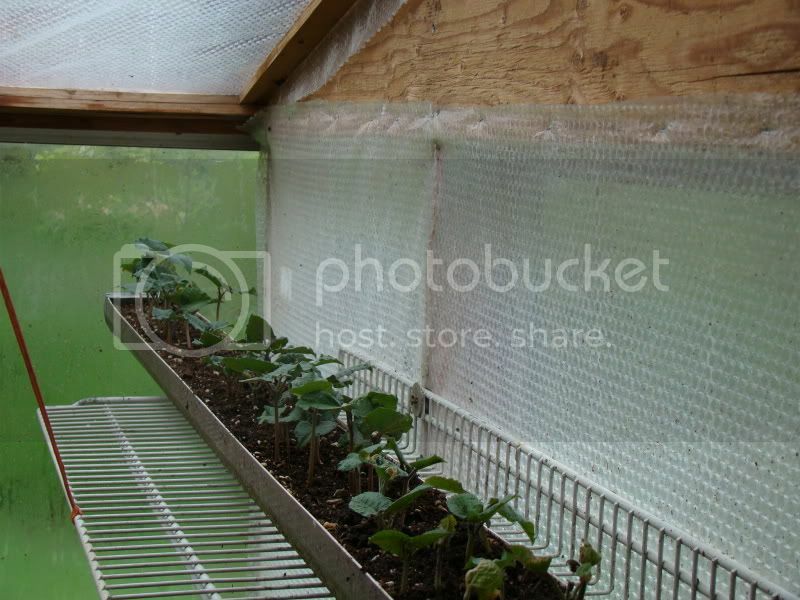 If this works, I could see it used for all kinds of greens, but maybe not root crops. Last edited by DoubleDogFarm on Sun Dec 16, 2012 11:21 am, edited 1 time in total. 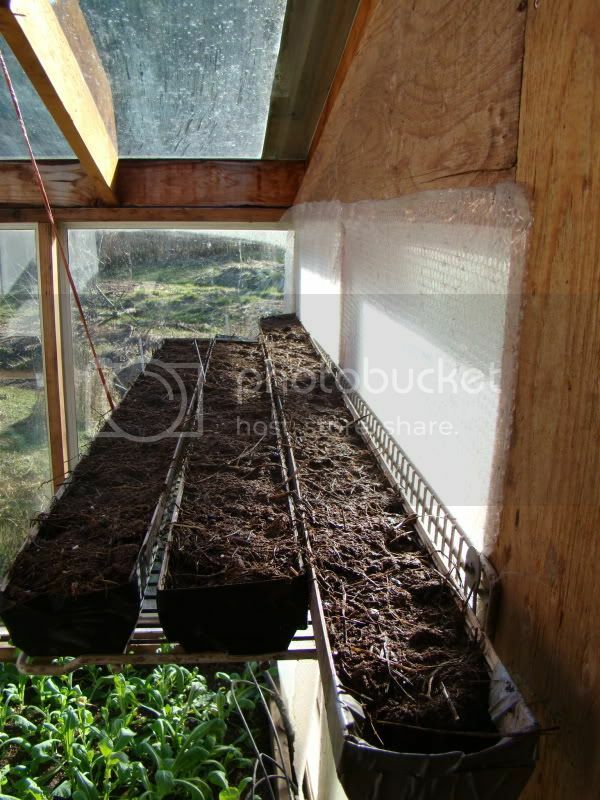 Provided they put off enough roots to hold the soil together and slide out nicely sounds like a good idea for anything you plan to put into rows, and will be small enough at transplant time that the depth of the gutter is sufficient of course. I'm think on the next test, I will lay down a strip of burlap before the soil. The roots would grow into it. Then I could pull the mass out of the gutter or stake down the burlap and pull the gutter away. so... pea in the gutter? Photo update. I think I should have sown a little more heavy. Last edited by DoubleDogFarm on Sun Dec 16, 2012 11:22 am, edited 3 times in total. Well, I think it's a winner! With a little shaking the peas and soil came right out. These are Oregon Sugar pod II. NowI'll plant snap peas. Last edited by DoubleDogFarm on Sun Dec 16, 2012 3:56 pm, edited 3 times in total. They look so healthy too. Great job! Hey! Looking good. I grew the Oregon variety last year. They did well here. I did not trellis them. I think the sugar snaps will grow much taller. Scarlet runner beans, almost ready to go outside. Second planting of peas. Snap peas this time. 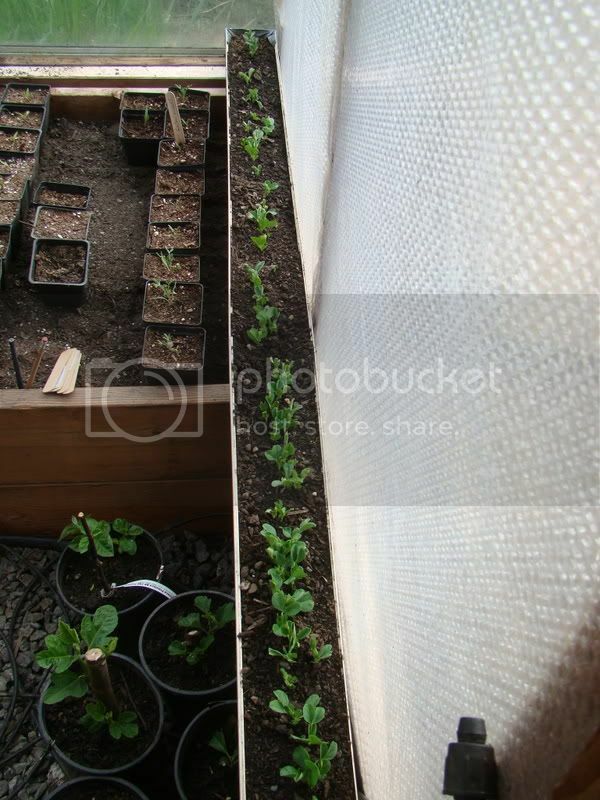 The peas I transplanted earlier are doing well. Last edited by DoubleDogFarm on Sun Dec 16, 2012 3:57 pm, edited 4 times in total. Wow!! That's a great idea! I 'll have to try that out when I have more space. I am currently working out of containers. It gets the the starts ahead of the birds also. Last year I direct seeded my beans and the birds chewed them off. Well it's that time of year again and my mine is back in the gutter. I'm starting off with Super Sugar Snap. These will definitely need trellised. The packet says 5 1/2 feet tall. My seed mix is half horse stall manure and half seed starting peat moss. I believe the peat has a little lime in it. The seed were not inoculated. The mix scares me a bit. I'm thinking it's way to rich. Will see. Last edited by DoubleDogFarm on Sun Dec 16, 2012 3:46 pm, edited 1 time in total. Clever idea, and looks like it's working great for you, well done!!! Very good idea! if you added sand or perlite to the very bottom it may slide out easier. I will try it with shorter lengths. The way I use to do it was to take sections out of my boxes like I would a slice of cake. 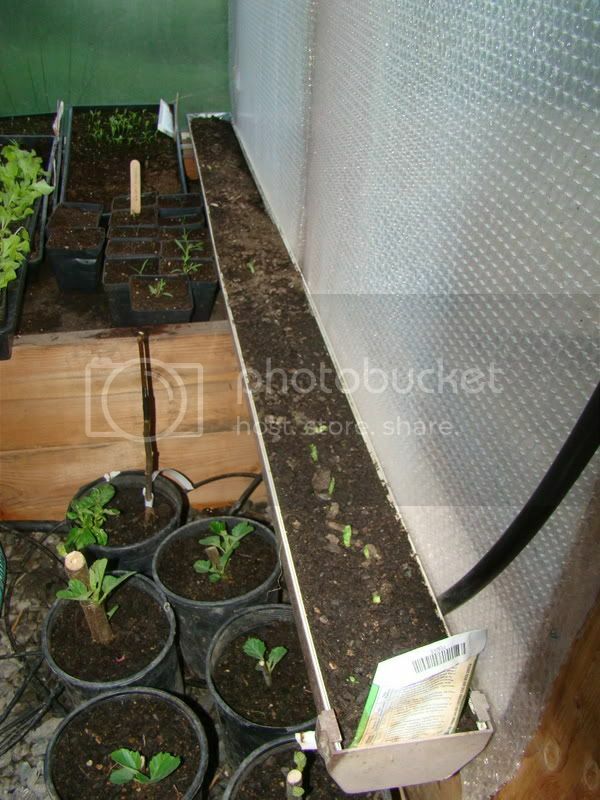 Lettuce works great that way by planting it in 6 inch square slices and just setting it in a wide row. 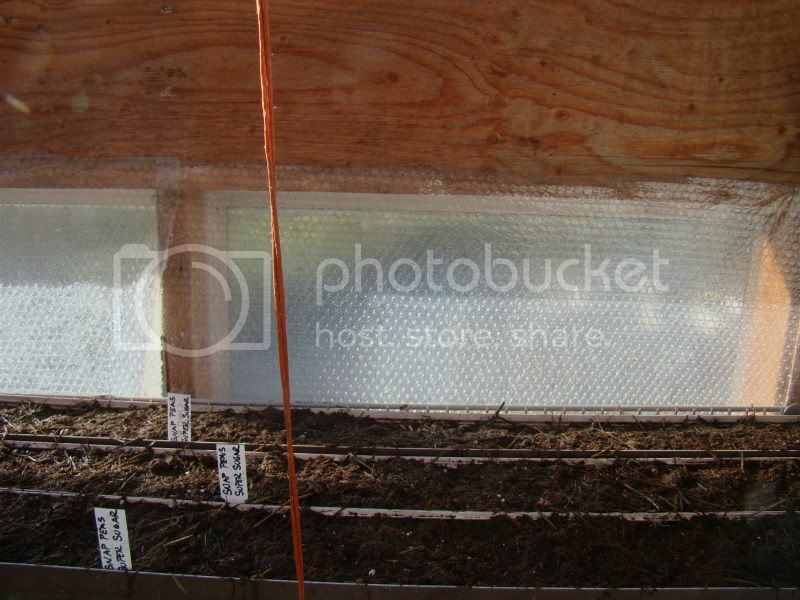 I also do something similar with my cold frames and use a flat small shovel and take what I have growing out is small 9 inch areas then lay it in my garden just dig under the plant a few inches and don't disturb the roots. i transplant sunflowers all the time even when they are 3 feet high on a wet day only. Any luck starting peas indoors?